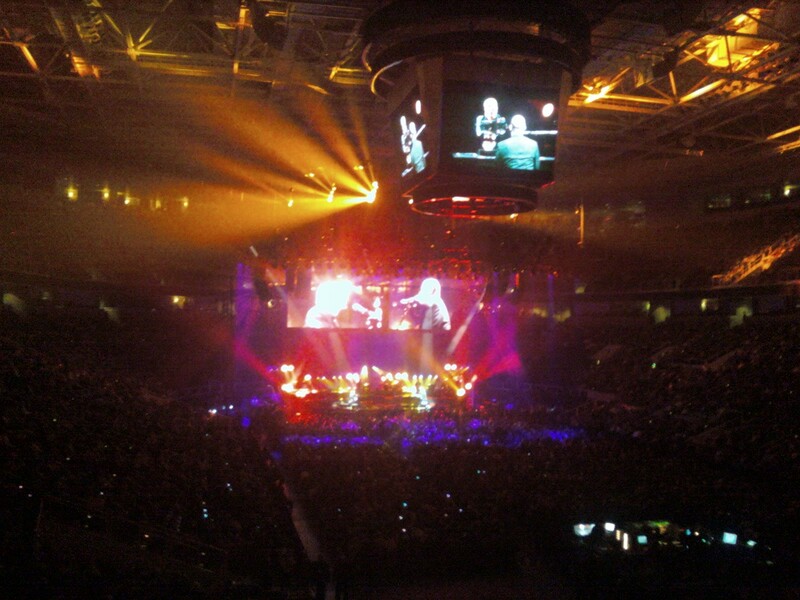 Home » Adventures » Billy Joel & Elton John ROCKED the House! Billy Joel & Elton John ROCKED the House! The concert ROCKED!! (no pun intended), the roof shook, and the music vibrated through my body. Chickenbone and I had a fantastic time. But I‘ve lost my hearing. If you find it, let me know. I apologize for the poor quality of the photos; you’ll have to take my word the boys are in the pictures. A cell phone can only do so much. I should have brought in my digital camera like the guy in front of me. He was getting some great footage right up until he got busted. Elton John looked fabulous in a black tux with tails and red vest, and Billy Joel looked sharp in a nice black tux. 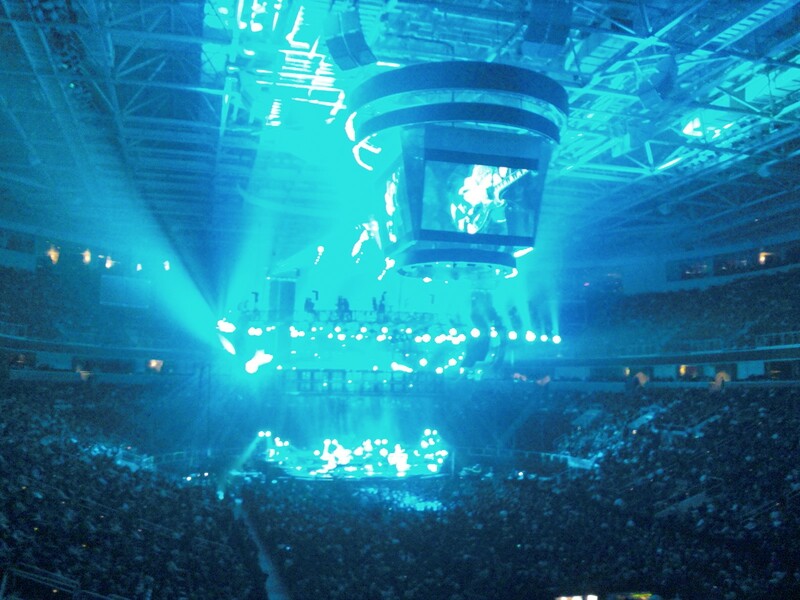 Elton had the best lighting – it was mesmerizing! Every so often he would look out into the crowd as if he wanted to see something. As soon as his eyes focused on the people in the audience a huge smile would cross his face. He loved seeing us. Billy was quite funny, chatting and joking with the audience. He joked about his age – but the man is hotter than ever, in my humble opinion. There’s nothing sexier than a man who’s secure enough to laugh at himself. And a most gracious performer, he sincerely thanked us all for being there. They had a huge band! At one point, in addition to the two piano men on stage, there were two keyboardists, two guys on horns, two guys doing other stuff (back up singers, playing small instruments), four guitarists, and four drummers! They ended with a duet of Piano Man. One word: AWESOME! Oh, and to the wasted chick singing and dancing like a drunken zombie when everyone was seated: No more coke for you.